Big head is a calcium deficiency of horses and donkeys grazing introduced tropical pasture grasses. It is caused by crystals of calcium oxalate in the grass blades that prevent the horse or donkey from absorbing calcium from the grass during digestion. It is especially prevalent in spring and summer when these grasses are growing the fastest. Cattle and sheep are not affected. How can Big Head be prevented? Use native grasses where possible. Avoid grazing horses and donkeys on introduced tropical grasses for more than a month at a time. These grasses are Setaria, Buffel grass, green panic, kikuyu, guinea grass, papa grass, pangola grass and signal grass. If only hazardous grasses are available, encourage the growth of a legume component in the pasture to provide a source of feed free of oxalate, and feed a calcium and phosphorus supplement. 1 kg of a mixture of 1/3 ground limestone and 2/3 dicalcium phosphate (DCP) mixed with 1.5kg molasses. This amount of supplement should be consumed per week and is the preventative dose not the treamtent dose for a horse with clinical bighead disease. Ideally it is preferable to supplement your horse on a daily basis, so divide the amount by seven and feed this much daily i.e approx 140 gms/day. Calcium uptake is more effective this way than feeding once weekly. Either of these preparations should be fed to each horse while grazing hazardous pastures. The molasses is used as a carrier and to make the supplement attractive. It can be omitted if the animal can be persuaded to eat their supplement on a daily basis. A balanced calcium supplement block can be purchased from Mullumbimby Rural Co-op and placed in the paddock for horses to consume as they require. Ask Tony which block will best suit your needs. Because of their smaller size, feed donkeys a proportionately smaller ration. Other mineral supplements which provide calcium:phosphorus ratio of 1:1 can be used but are likely to be more expensive than the mixtures listed above. Can big Head be cured??? The lameness and illthrift can be cured. The swellings of the jaws may not fully disappear if the animal was severely affected. Double the amount of mineral supplement listed above should be fed to affected animals for at least 6 months to replace the mineral lost from their bones. Of course removal from the offending paddock is essential and transfer to a paddock with no offending pasture. Hendra Virus is close to being the most lethal virus on our planet. The Hendra Virus fatality rate is over 50%. Of the people who have been infected and recovered the majority of these people contineu to suffer the debilitating effects of severe post viral compromise and are unable to work. Likewise for an infected horse the fatality rate is 100% that is, if they do not die from the infection, the Government requires their euthanasia as there is the possibility of the virus being latent in their system and recrudescing or becoming active again later on in time. There are no treatment options for infection with Hendra Virus. The only prevention apart from wise and careful management is to vaccinate your horse(s). 1) Is the vaccine safe? The vaccine is called a “sub- unit” vaccine. This means that it only contains a small replicated part of the Hendra virus, a protein copied from the virus surface. As there is no complete, actual Hendra virus in the vaccine, it cannot cause disease in your horse, YOU or any other animal. It does however confer excellent immunity to properly vaccinated horses. The vaccine has been released under special approval in an effort to get horses protected as soon as possible. It must be administered by a vet under strict guidelines by the AVPMA. Sufficient testing has been done to ensure the vaccine is safe and effective however. The duration of immunity conferred by the vaccine after the intial course of shots is 12 months. Horses require annual vaccination to maintain their immunity. The vaccine has been registered with the AVPMA. The vaccine has been tested on breeding animals – mares and stallions. It has been found to be safe in breeding mares however current reccomendations are to avoid vaccination in the first 45 days of pregnancy and the last 2 weeks rior to foaling. 2) What is the program? Two vaccinations are given, 21 to 42 days apart – there is no exception to this time due to the strict guidelines we are working under... The horse must be microchipped. This can be done at the same time if not already done. A 6 month booster is then required, followed by annual boosters for ongoing protection. 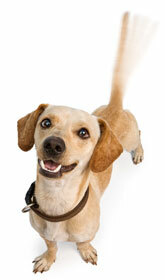 Our vets can perform a wellness check at the same time as the annual booster is administered. Apart from the possibility of transient swelling at the site of injection after the second injection there is unlikely to be any reaction. No treatment is required. Any medicine, including vaccines can have side effects such as a rise in temp. allergic skin lumps, difficult breathing, collapse. None of these were seen in horses vaccinated with Hendra virus. 4) And the biggy – what does it cost? This is up to the individual vet. clinics discretion. Mullumbimby Vet Clinic is charging $240 per horse for 2 vaccinations, 3 weeks apart. This includes 2 property visits, examination of the horse to ensure it is well, administration of the vaccine and entry on to the data base. Microchipping is extra ($50). Travel is $17.50 per 10 kms. Owners with multiple horses would be welcome to a discount on this price. At certain times of the year we maybe running a special on this service to encourage horse owners to vaccinate. Vaccination protects your horse, yourself, your family and also your vets! Contact us to book in! Whilst the golden age of the horse has passed, there is a lot of sage advice that came out of this period of history pertinent to good management and care of our equine friends. The old proverb , "It's not the horse that draws the cart but the oats," provides a good reminder that without adequate nutrition the most willing of horses cannot work effectively. Which leads us into the corollary that without good teeth, a horse will also be unable to perform. At MVC both Richard and Bec are experienced equine dentists having examined and tended hundreds of horse mouths. We generally like to sedate our equine dental patients as it helps to (1) Relax them so they are not stressed. (2) Allows us to tend the teeth right up the back of the mouth which are hard to get at otherwise. (3) Permits a full oral examination. (4) Increases the degree of safety and level of expertise with which the dental and examination can be performed for both horses and humans. Yes, Equine Vet Dentistry probably costs more than what your average farrier or lay dentist would charge to run a rasp or float over your mare's pearly whites but we are university trained and dedicated to ongoing professional development in the field of equine medicine and dentistry. Likewise we are the only professional group professionally trained and legally permitted to sedate horses for dentistry. Signs that your horse may have bad teeth requiring floating are quidding or dropping of feed whilst chewing, chewing with head to the side, lugging or being heavy on the bit, weight loss, gulping feed down, choke, long stems in the manure, being head shy. Please contact us to book a dental.